Is this the next historical Total War game? Thrones of Britannia is historical and is next to be released, but it’s a Total War Saga game. The next era-spanning historical Total War game is being worked on by a separate team and is yet to be announced. What is A Total War Saga? 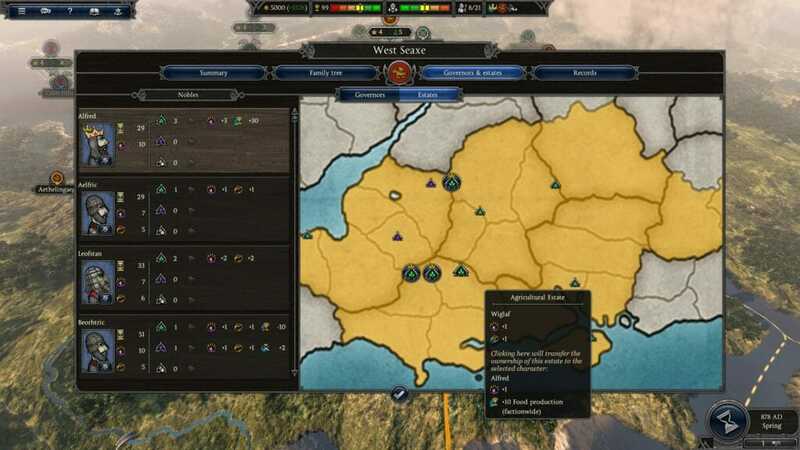 Total War Sagas offer the same additive mix of turn-based campaign strategy, real-time battle tactics with hundreds if not thousands of hours of gameplay as a regular Total War game, just focussed down on a distinct moment. They will be concentrated games which will put you right in the middle of a dynamic point in history, where the outcome could have gone in a huge number of different directions. Such moments also tend to be constrained to a tight geographic area as well. Sagas won’t introduce brand-new eras; they’ll follow-on from previous Total War games and inhabit the same time-period, or at the very least relate to it. Fall of the Samurai is exactly the kind of thing we’re talking about here. It was a standalone spin-off from Total War: SHOGUN 2, focussed on the pivotal event of the Boshin War. Is it like a Campaign Pack? Will I need to own another game to play it? 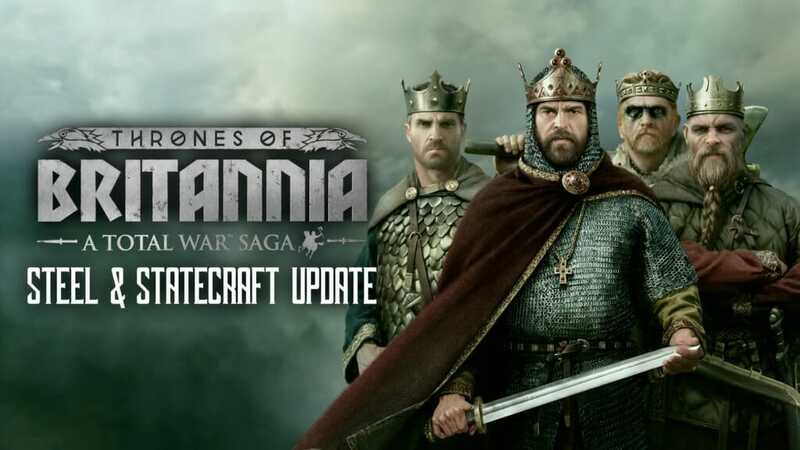 No, Thrones of Britannia is a standalone game, you don’t need to own any other game to play it. Also, you can expect much more new content and new gameplay than comes with a Campaign Pack. The game will be based around a rich new setting (the British Isles of 878AD, just after invasion by The Great Heathen Army) with ten new playable factions, new mechanics and a new, highly-detailed map. 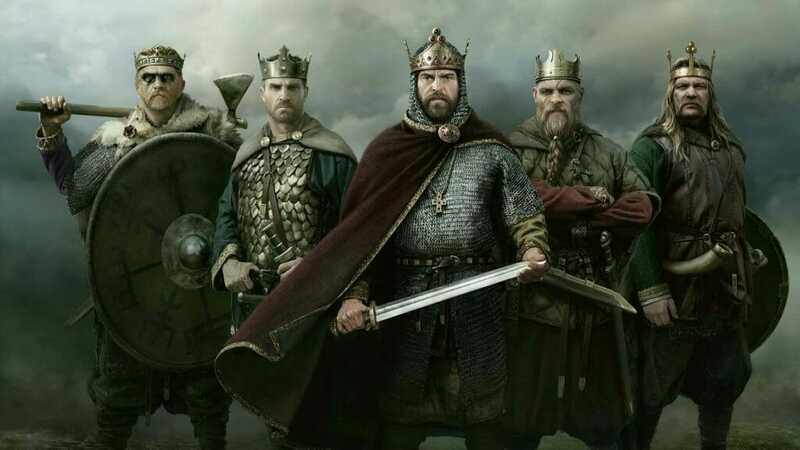 Some elements will be brought across from Total War: ATTILA since they still fit the time period but Thrones of Britannia will have its own unique look and feel. Again, in terms of scale, Fall of the Samurai is a useful yardstick. What is the date range of the game? It starts in 878 AD, and like other Total War games it’s over once you win! There is no set end-date, though the content in the game covers up to around 1066. What geographical area will it cover? The map is the whole of the British Isles, we’ve gone for such a focused map to allow for us to put a lot of detail into it. We’ll be confirming all ten of the playable factions over the coming months but for now we can tell you that you’ll be able to play as Anglo-Saxons, Viking settlers and certain Gaelic clans. The game will offer a super-detailed campaign map, with more regional distinction. You can also enjoy new, unique faction and culture mechanics with deep narratives and character development, and we’ve worked hard to introduce all sorts of tweaks to various campaign systems to enable the player to make more powerful and impactful choices. These are things we’ve already announced, though more key features will be announced soon! It will be some time in 2018 but we’re not ready to announce a release date just yet. Will it be available on Mac/Linux? We only have a release on Windows in our current plan. A Total War Saga: Thrones of Britannia will be available as a digital download and there will also be a physical boxed product available in some territories from selected retailers. Details on the price will be confirmed by retailers a little closer to release. What is the min. & recommended specs? Again, it’s a little early to confirm but if you follow us you’ll be the first to know. Is it available for pre-order? It will be in due course. You can add it now to your Steam Wishlist to be notified when it’s available. When will we see gameplay? Springtime 2018 is when you’re likely to see gameplay. Follow us on Facebook, Instagram or Twitter to get all the latest updates and sign up to our forums to join the discussion.